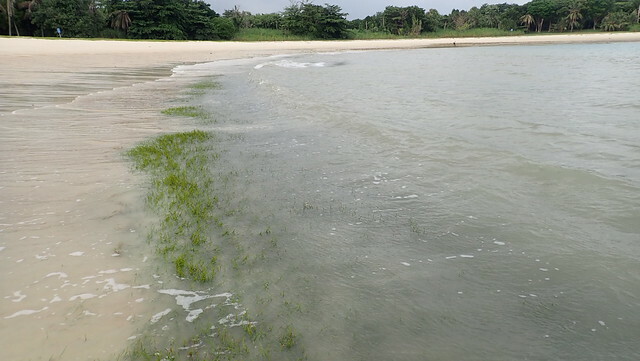 Lush seagrasses seem to have taken over the artificial lagoon at Seringat-Kias! Teeming with sea hares and other marine life. 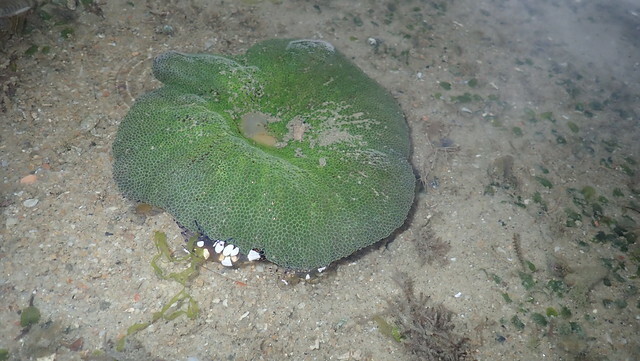 While on the artificial seawall, there were corals and rare chitons. 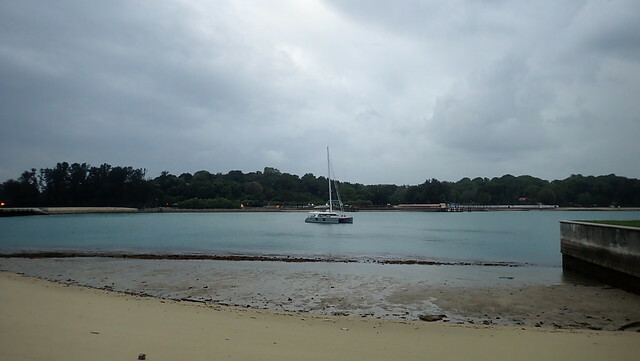 The team also explored Lazarus island's natural shores where they saw cone snail and giant clam. 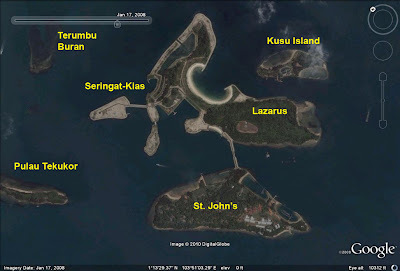 Seringat-Kias was created by reclaiming the submerged reefs of Seringat and Kias. One of the touted features on this island is the C-shaped 1km long artificial lagoon. 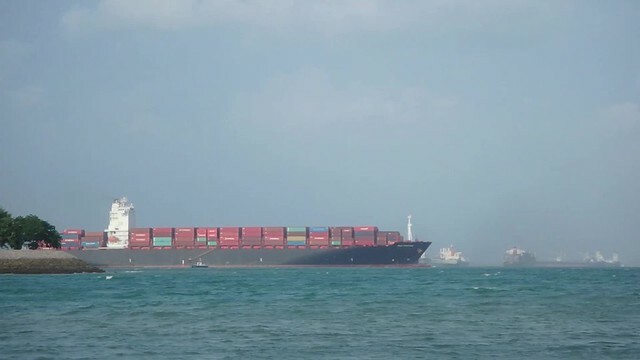 Here's more about what was done to create Seringat-Kias. There's marine life on the artificial shore as well as on the natural shores of Lazarus Island. 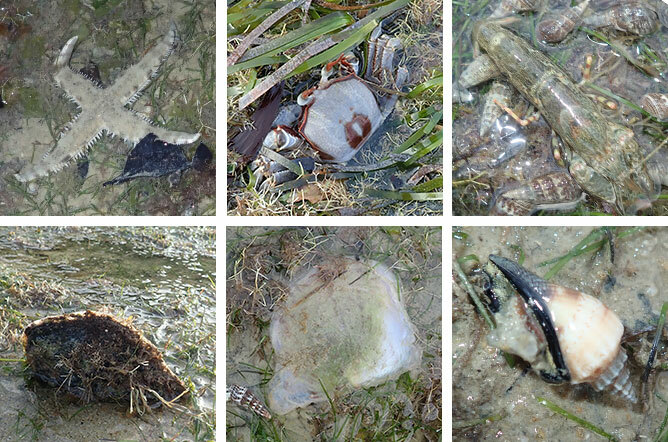 Here's a glimpse at the seagrass meadows and some of the special animals we came across. 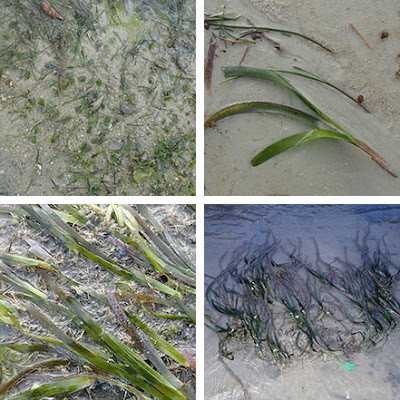 The seagrasses were teeming with all kinds of marine life. There were also many Haddon's carpet anemones. All were not bleaching and one had a pair of anemone shrimps. 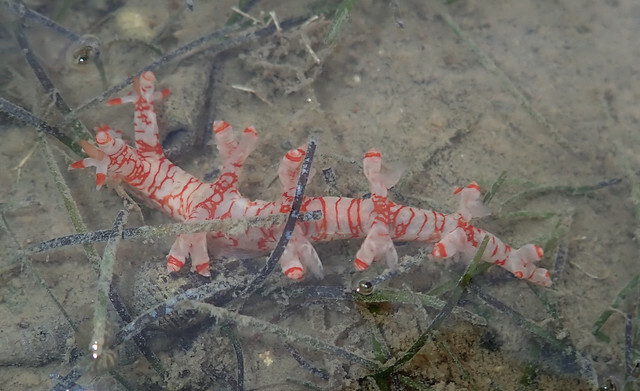 I came across this colourful nudibranch. The southern arm of the lagoon was teeming with Black-tailed sea hares. But none were found on the northern arm! 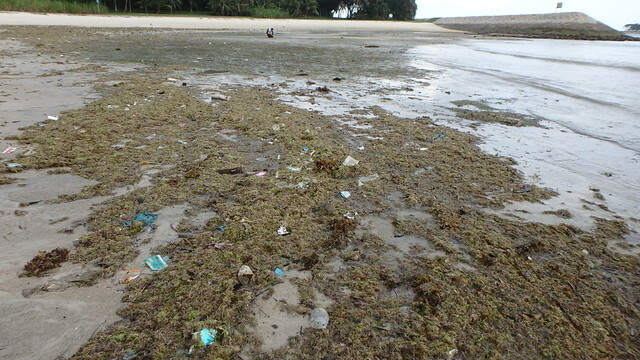 I saw large patches of Smooth ribbon seagrass from the southern arm to the middle of the lagoon. And large patches of Noodle seagrass towards the northern arm (I had observed Noodle seagrass washing up on the shore since Aug 2015). Everywhere, there were patches of Needle seagrass (narrow leaf blade) mixed with Spoon seagrass (tiny leaf blade). This is similar to what I saw on our last survey in Oct 2017. Unlike our previous surveys, I didn't see patches of Serrated ribbon seagrass, although there were fragments of them that washed up. I also didn't see any Sickle seagrass. The ground was soft and silty in many parts. There was a bloom of Slender pom pom red seaweed washing up, similar to what we saw in Jan 2017, so it might be seasonal. 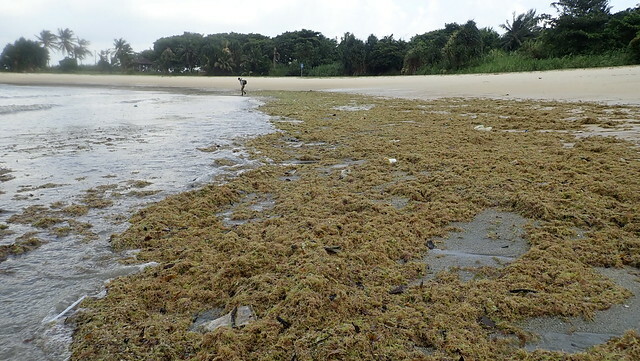 There were also a good variety of other seaweeds growing on the shore. For the first time, a few of us explored this small stretch of rocky wall opposite St John's Island. It was nice to see a variety of common corals growing on the artificial structure and seawalls. 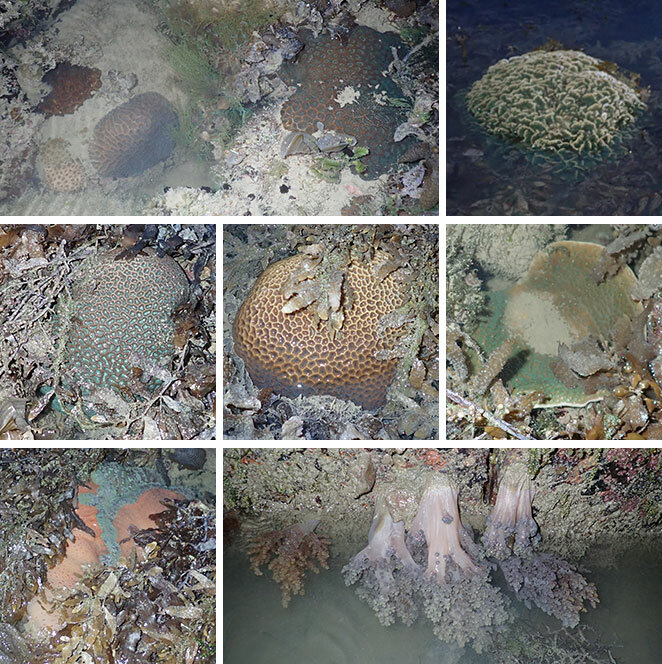 Including several Giant carpet anemones and many large Aspargus flowery soft corals. None of them were bleaching. Here, I also saw a small clump of Tape seagrass with long leaf blades and had several female flowers that appear to be forming into fruits. 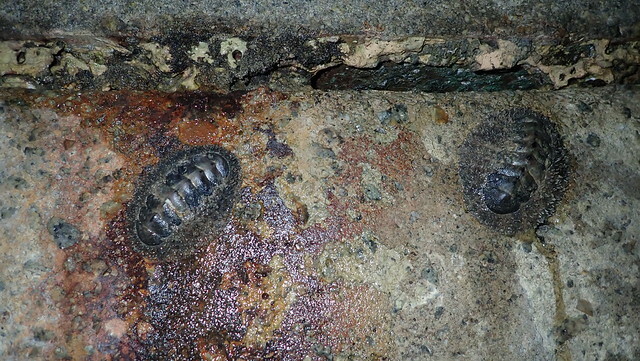 There were also many large chitons on the seawall! We didn't come across nets or people fishing or trapping. There was one leisure craft in the lagoon, as is usual. 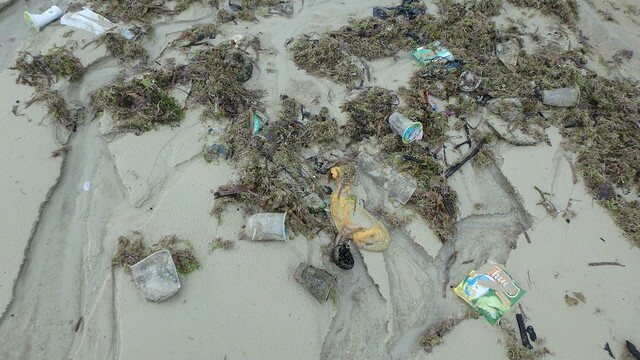 Trash continues to wash up on the shore, although not a heavy load. 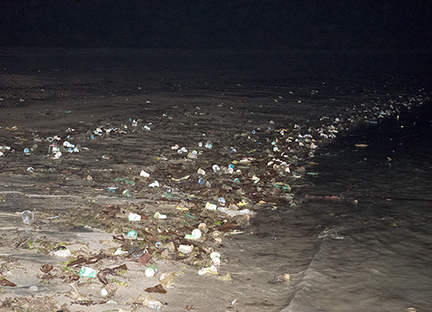 There was no trash on the high shore, suggesting that it was recently cleaned. Single use plastic cups are still the most common type of trash. Here's what I saw in Aug 2015. 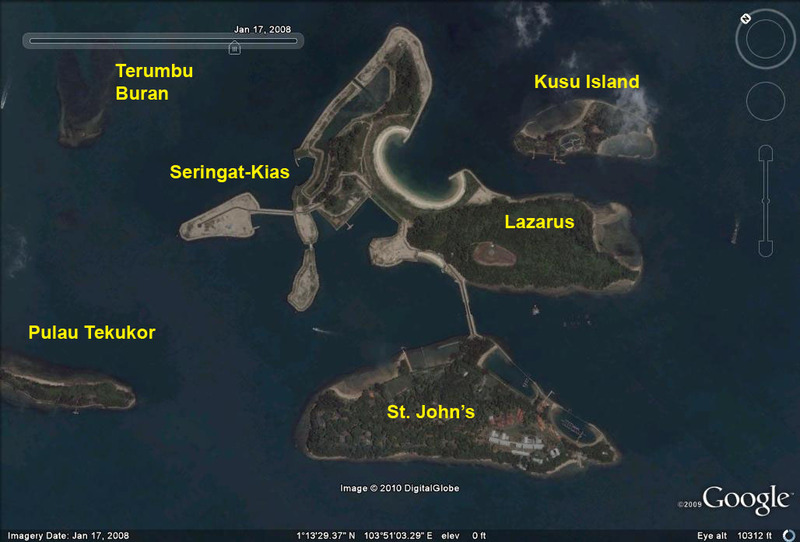 The rest of the team took the long trek to survey Lazarus Island, most of which are not affected by reclamation. 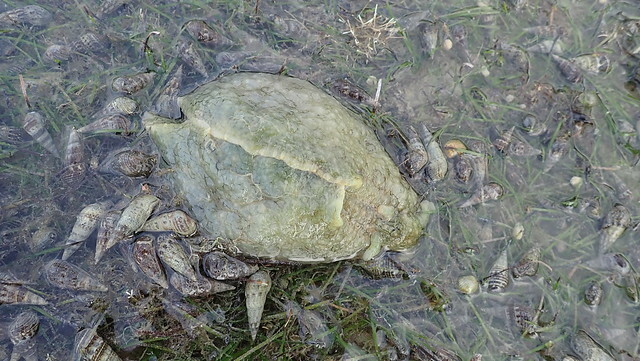 They found all kinds of interesting creatures from giant clams to cone snails! Let's hope these shores stay safe until we can revisit. Others on this trip: Nivedha, Andy.